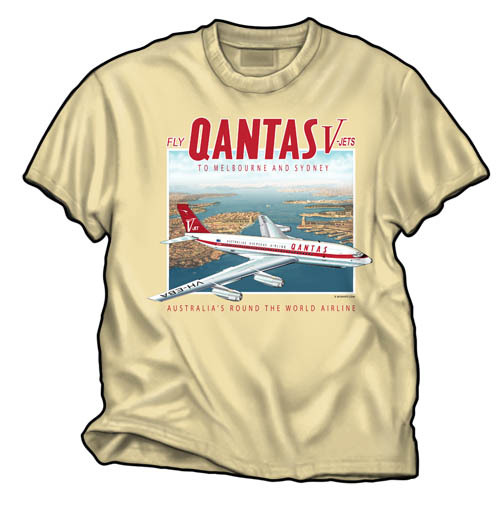 The Qantas 707 shirt. The first 707 to be delivered to Qantas, the 707-138B was a shortened version for the long haul 707 to OZ! Most famous in that there are two surviving -138B's, one owned by John Travolta, and the other at the Qantas museum in Longreach, Australia. On the front of a 100% cotton Yellow Haze shirt! Southern Martin 4-0-4 POCKET "T"